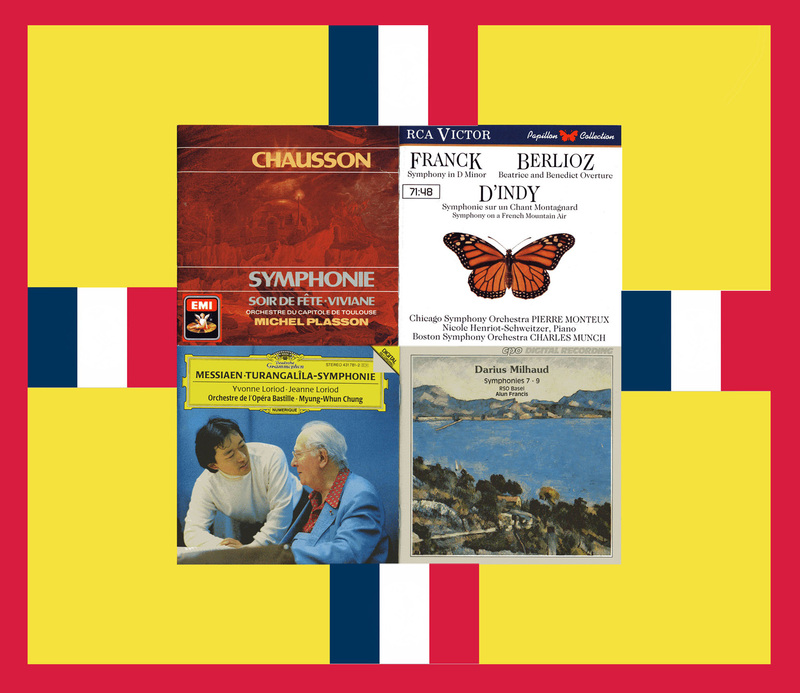 While not one of the backbones of musical culture as it is in Germany, the symphony in France is an essential component of its compositional achievement. The number of French symphonies that are members of that exclusive club known as "the basic repertoire" is few but since the advent of the 19th century, French composers have produced a steady flow of important works in this pinnacle of orchestral genres. It is the aim of this discography to document all the recordings of French symphonies that have been issued on CDs and LPs. The composers included in this discography are those born in or who came to live in France and wrote Symphonies from the beginning of the 19th century to the present that have been recorded.. A chronological structure has been used in order to show the progression of symphonic works from the early nineteenth century up to our own time. This chronology is based on the birth year of the composer rather than the year a symphony was written. A composer index is placed first so the reader can immediately go to any particular composer. As in the previous discographies in this series, no attempt has been made to list every release of every recording of each work. There have just been too many reissues, especially from the major labels, to make this feasible for many recordings. Instead, what are listed is the most current issue the author has located and the earliest release (if any on LP or CD) of that particular recording. In general, multi-disc compendium releases are omitted unless they contain a unique recording or the sole modern reissue of a previously released performance. The entry for each composer consists of two sections. First there is a compact biographical paragraph that notes some essential information such as place of birth, higher musical education (including schools and prominent teachers), subsequent musical careers in addition to composing, details of other symphonies that have not been recorded and selective lists of other works for orchestra. Compositional styles are not discussed in these paragraphs and readers are referred to the bibliography where various reference books that cover this subject are listed. The second part of each composer entry consists of lists of his or her symphonies that have been recorded and the various recordings of each work. Symphony is defined here as any work the composer has designated as such in its title including works called "sinfonia" or "sinfonietta." The works can be for full orchestra, chamber orchestra, strings, winds, brass or chorus and orchestra. For every symphony that has them, the opus number, key signature and title are noted and the year of composition is stated for all. The entries of the symphonies that have had multiple recordings are listed alphabetically by the conductor's name. (The one exception to this is Lalo's "Symphonie Espagnole" where the violinist takes predcence over the conductor because of the nature of the work.) Each listing of a recording consists of the following components (if known): (1) Performers (in this order if all are involved - conductor, soloists, choral group, orchestra), (2) Other works on the recording. (3) Label and catalogue number and year of issue and (4) If the recording is a reissue, the original LP or CD release and its year of issue. Please note that the performers listed are for the entry work and not necessarily for the works that it is coupled with. Also, in most instances when an entry work is included in a large collection (especially if most of the other works are not related to the discography's subject) the list of couplings is not given but replaced by the title of the collection. The symphony arrived in France during the eighteenth century. It came at a time when French music was almost entirely dominated by the opera. Gradually, however, instrumental music began to find its place after the composer André Danican Philidor had established concerts for this purpose at the Palace of the Tuilleries. Orchestral by French and foreign composers were conducted by such distinguished musician as Jean-Philippe Rameau and Anton Stamitz. The introduction of the Symphonies of Franz Joseph Haydn onto the Parisian musical scene was extremely influential and pointed the way for the symphony to become an important component of French music. This discography commences with the last Symphony written by the Flemish-born composer François-Joseph Gossec as it is the first 19th century French Symphony that has been recorded. With the exception of the very personal Symphonies of Berlioz, the first half of the19th century was not a particularly fruitful time for this genre. Things picked up after mid-century with Gounod and Bizet and by the century's last two decades the golden age of French symphonism had arrived as exemplified by Franck's Symphony in D minor, Chausson's Symphony in B-flat, Dukas' Symphony in C and Saint-Saëns' "Organ" Symphony. This was followed by an early 20th century afterglow best represented by d'Indy, Ropartz, Magnard, Roussel and Honegger and an eventual decline in the composition of symphonies with only Messiaen's "Turangalîla-Symphonie" and the pair written by Dutilleux as the only later 20th century symphonies showing any signs of permanence in the concert hall. Yet, as the following discography demonstrates, there is a rich legacy of French symphonies that has been represented on recordings. There are also a substantial number of French symphonies that remain unknown, many of them, perhaps, rightly so. However, until the listening public gets a chance to hear them we will never know what we are missing. Cecile Chaminade (1857-1944): Symphonie Lyrique "Les Amazones"
I have received a lot of help in preparing this discography. First of all, Rob Barnett of MusicWeb helped eliminate a lot of errors by proofreading the entire work. I am very grateful to him as well as to Len Mullenger who has kindly hosted and prepared my Discographies for the MusicWeb International website and has patiently instructed me on the use of a software program that has made it easier for me get my work ready for the internet. Finally, the following people have given me some important information that I could not find on my own and I just want to express my sincere gratitude: Paul Brooks of the Barbirolli Society, Paul Snook, Chris Howell and Hubert Culot. Finally, as this resource is published online it can always be a work in progress as the author has the ability to amend the work when necessary with very little difficulty. A work of this type is bound to contain errors and omissions as so much material has been gathered from so many diverse sources. Therefore, I ask anyone who reads this book and finds such errors or omissions to please let me know at the email address (mherman@mindspring.com). I would be very grateful indeed. Because of the conversion of the discography to pdf, linking to individual composers is not possible. We have kept the index so that you are able to see who is included. Davies, Laurence. César Franck and His Circle. Boston: Houghton Mifflin, 1970. Sadie, Julie Anne and Rhian Samuel (eds). The Norton/Grove Dictionary of Women Composers. New York: W.W. Norton and Co, 1995.